If you are using a user-created MOD that is focused on the Video Game Industry, you will have access to new features and gameplay mechanics specific to the video game industry. To make your video game startup a success, you are advised to follow the below plan. Phase 1) Create a new IP (Intellectual Property) for your video console hardware. If you decide to create your own video game hardware, the first step is to create a hardware IP. On the other hand, if you are happy with developing game software running on video game consoles manufactured by other companies, then you may skip this phase and move on to phase 3. 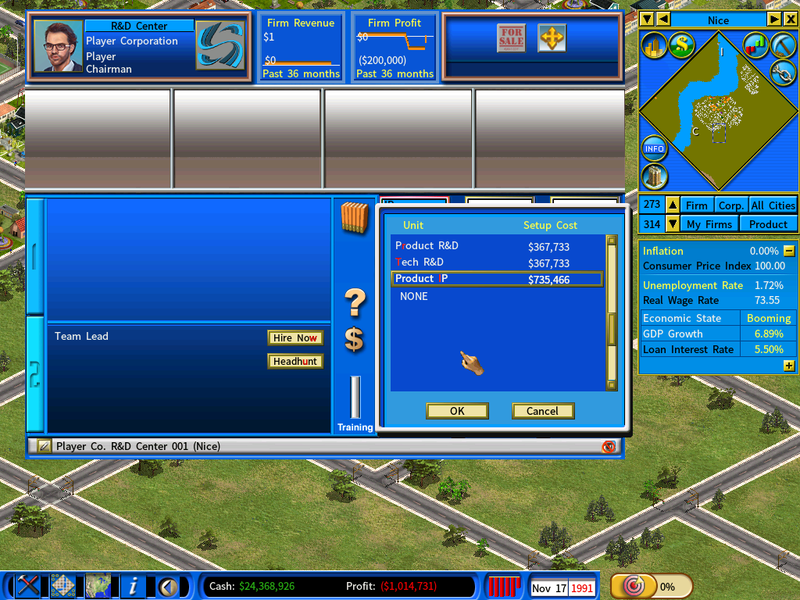 A Product IP unit can be added in a R&D center, as shown in the following screenshot. Click the [Develop a New Hardware IP] button. Select [Video Game Console] from the list. Now you will see 3 different video game console product groups. Select one to designate the research path of your new hardware IP. Next you should decide whether you want your new hardware IP to be Proprietary or Open Source. If it is Proprietary, only your company can manufacture video game consoles based on this IP. If it is Open Source, you grant rights to any third-party companies for manufacturing video game consoles based on your hardware IP. There are pros and cons to each strategy. Using an open source strategy, your hardware will proliferate at a much faster pace and you will benefit from a rapidly growing user base. The downside is that you will not profit as much from the hardware business as you are not the only one producing the hardware. There will be inevitable price pressure from third-party products. A proprietary IP comes with just the opposite advantages and disadvantages. The profit margin of your hardware business will be higher, but you will get no extra help by other manufacturers when it comes to maximizing the market share of your video game hardware. Once you have made the choice, the IP will be created in an instant. But the hard work of actually developing the technology and the operating system will take a much longer time. We will go into details about them in the next phase. 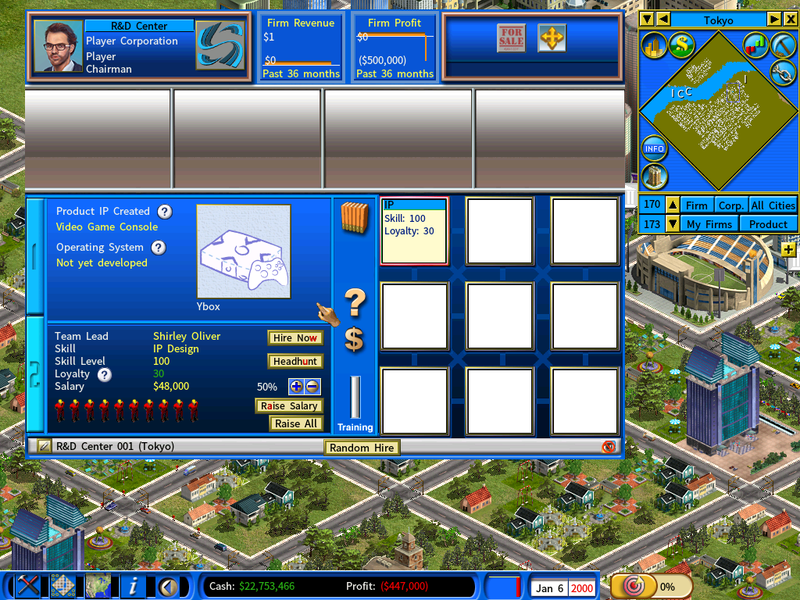 Phase 2) Develop an Operating System (OS) for your video game console. Before you can start manufacturing your video game console, you must first develop an OS for it. The research will take several years. If you think the wait is too long, you may take advantage of a new game setting to eliminate the wait. 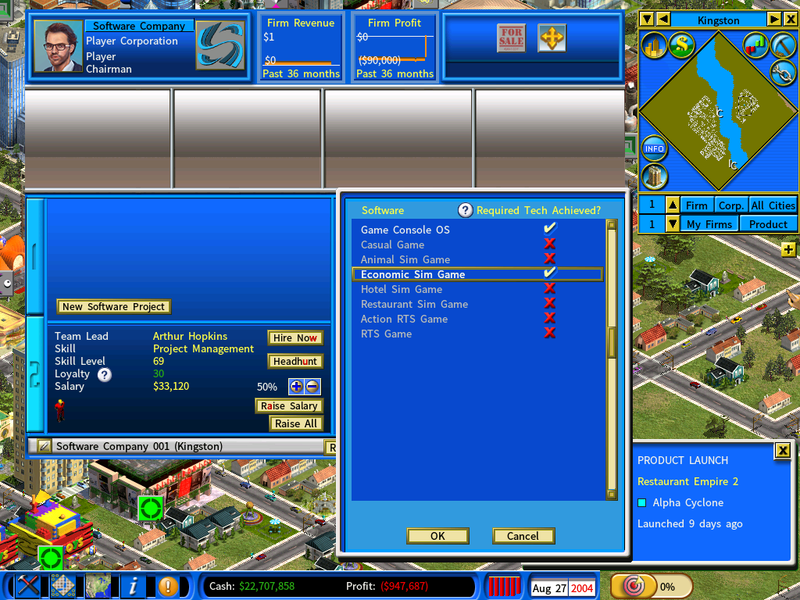 On the New Game Setting menu, enable the option “Player Starts with OS Tech” and you will possess the required tech level for OS software at the beginning of the game. Now click the [New Software Product] button and select “Game Console OS” from the list. 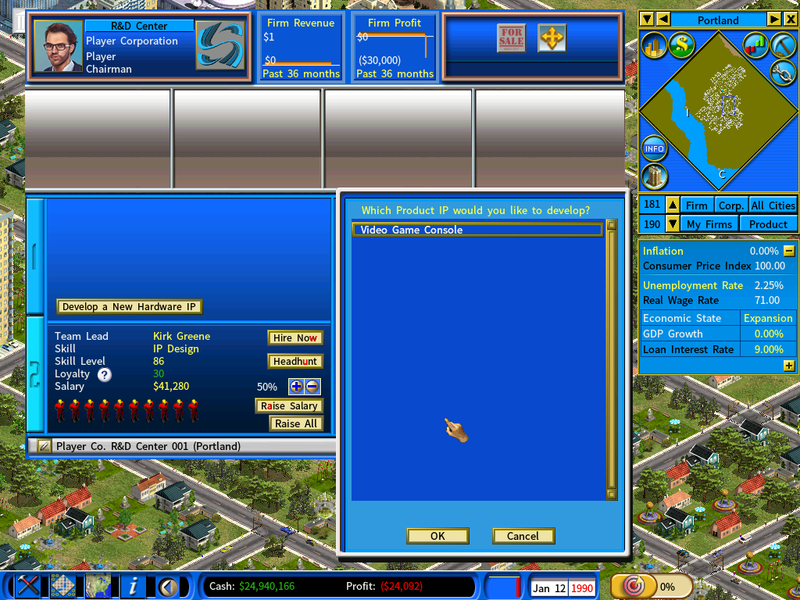 Next choose the IP that you have already created. The development of a new OS for your video game console will then start. 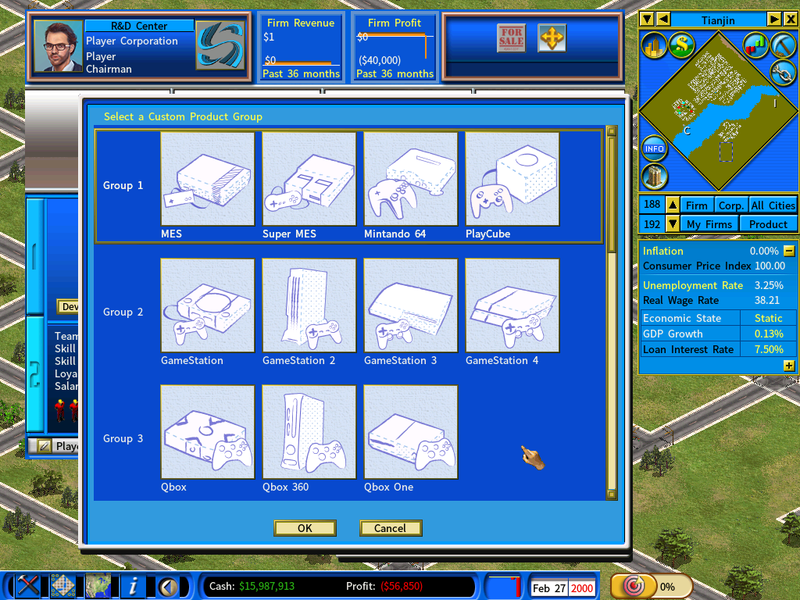 Once the OS development is finished, you will be able to start manufacturing the video game consoles in your factory. 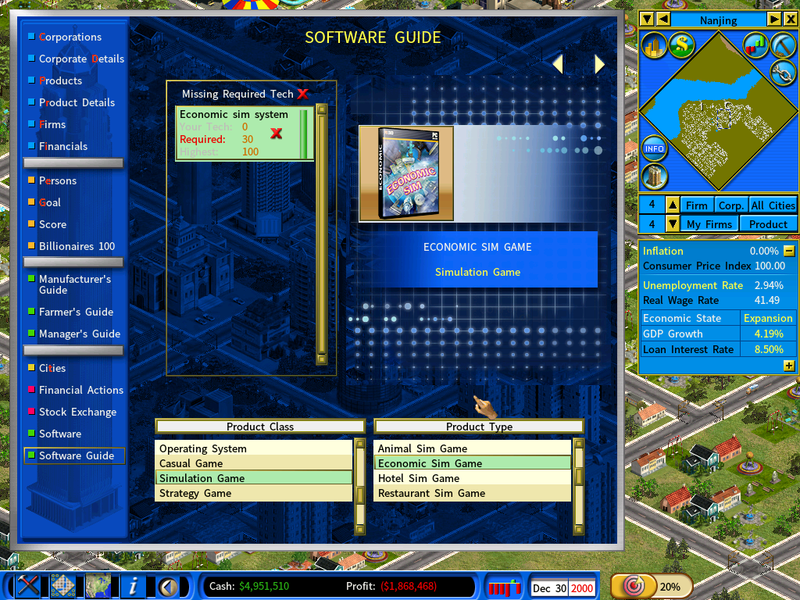 The Software Guide shows a list of potential game genres for your first game project. View this guide to find a game genre you like. Now set up a new software company and hire people of the right skills to work on the technology required for the game genre that you have chosen. 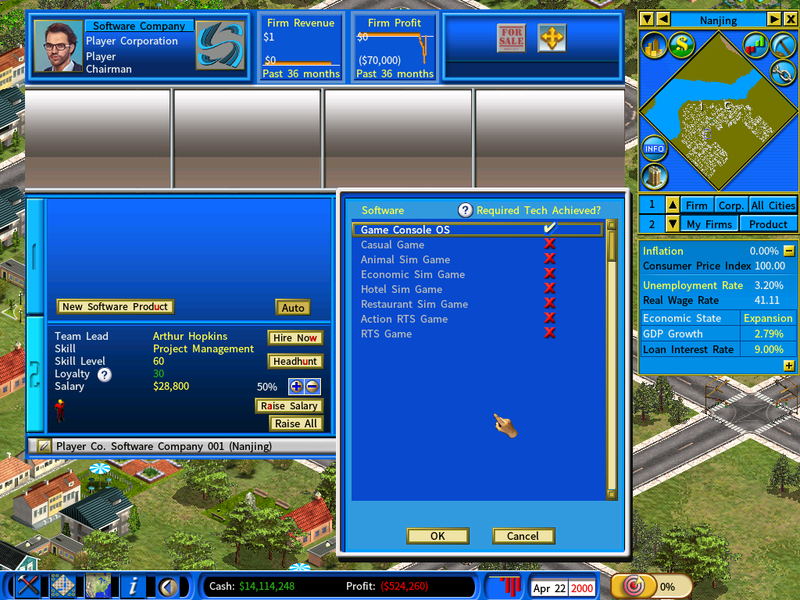 Once the required technology is ready, you could click the [New Software Product] and select the preferred game genre. 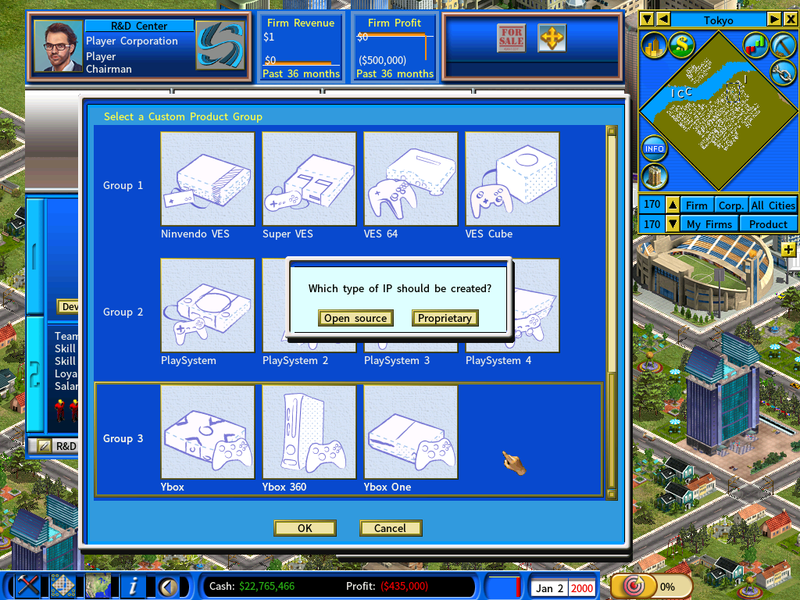 Then you will be presented with a window for selecting a unique game title and box image under the chosen game genre. 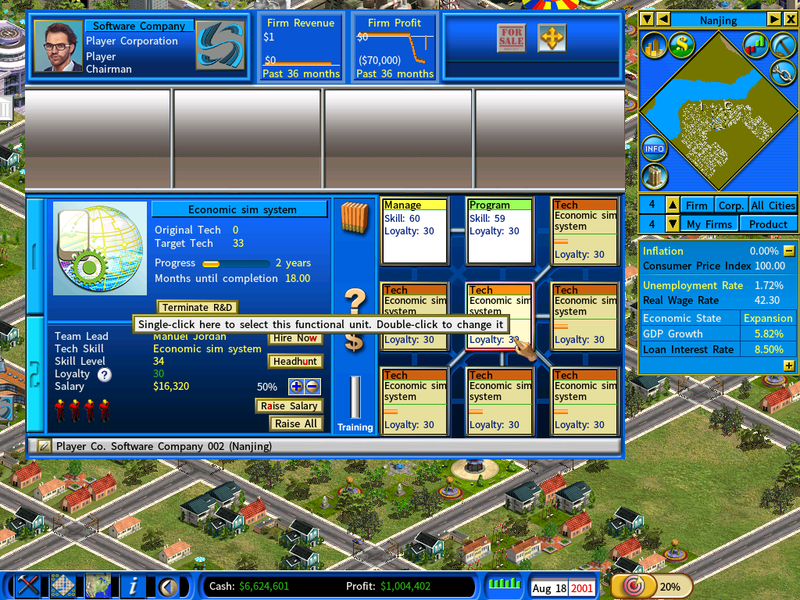 In our example, we have previously chosen the Economic Sim game genre as the focus of this software company. 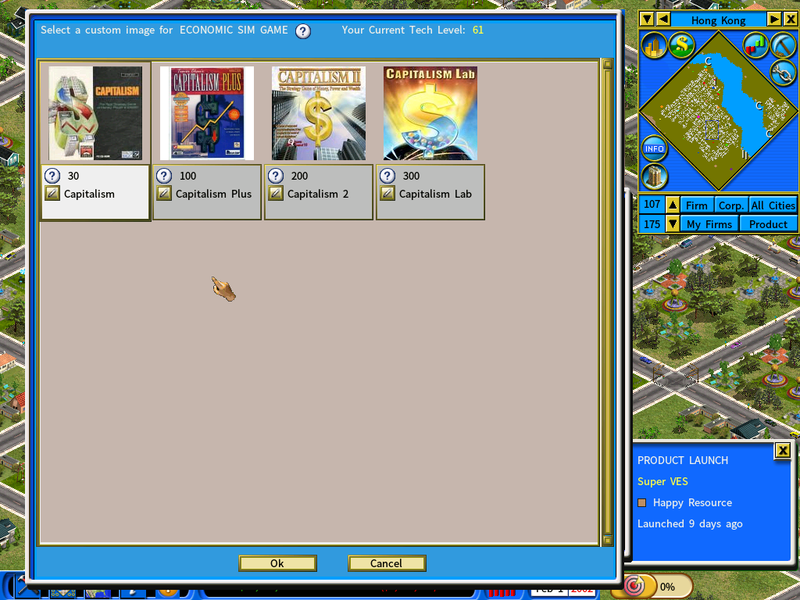 Now you will see various versions of Capitalism games displayed as pre-defined custom game products on the list. 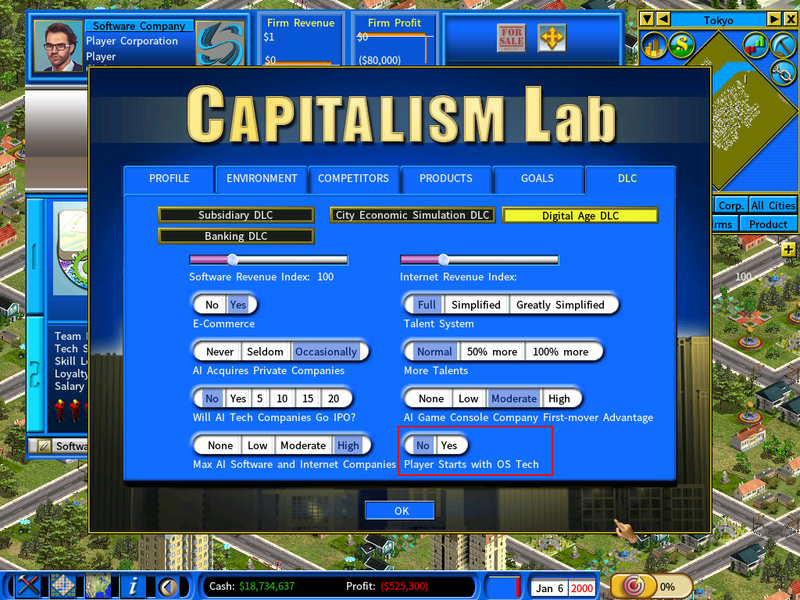 In this example, since your tech level of Economic Sim game is 31, you will only be able to select the original Capitalism game whose required tech level is 30. 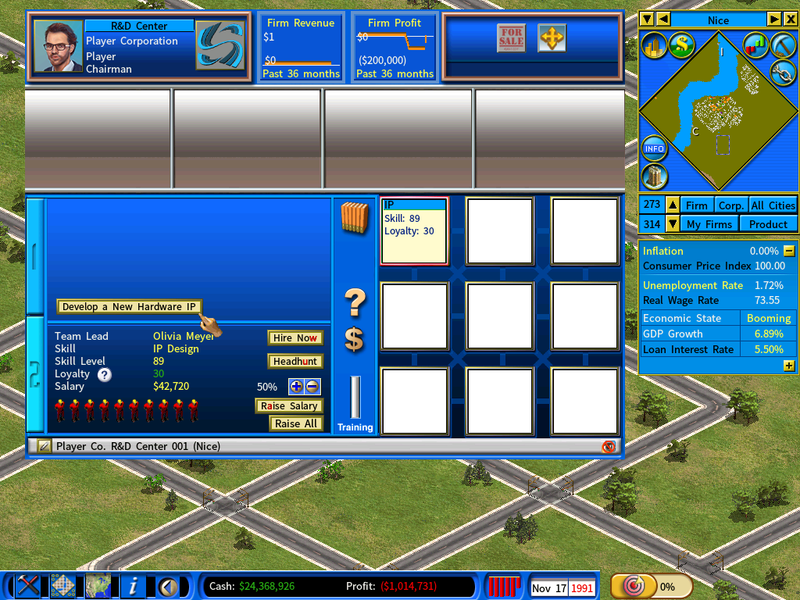 Other more advanced versions of Capitalism games require higher tech levels and are thus not selectable at this moment. 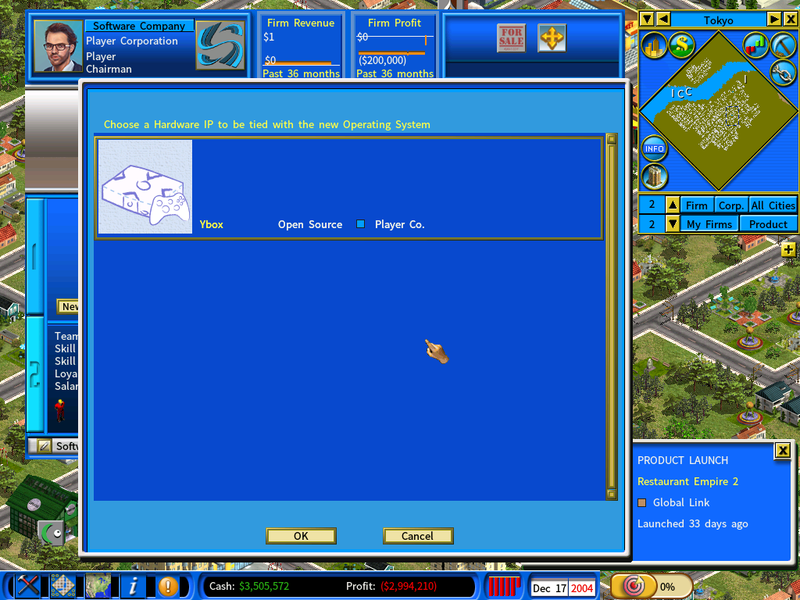 Please note that it is not possible to develop a generic game software without a pre-defined custom product. 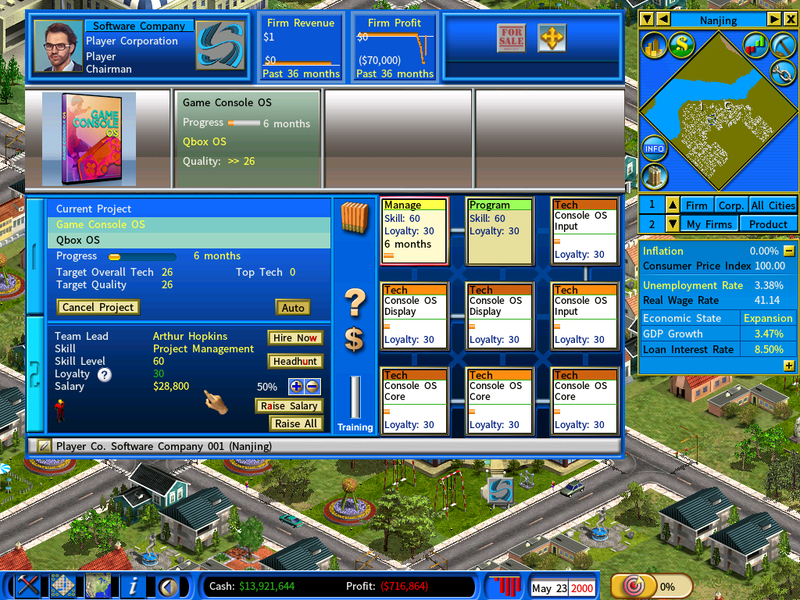 For instance, it is not possible to develop a generic Economic Simulation game without a pre-defined game title and a custom game image. 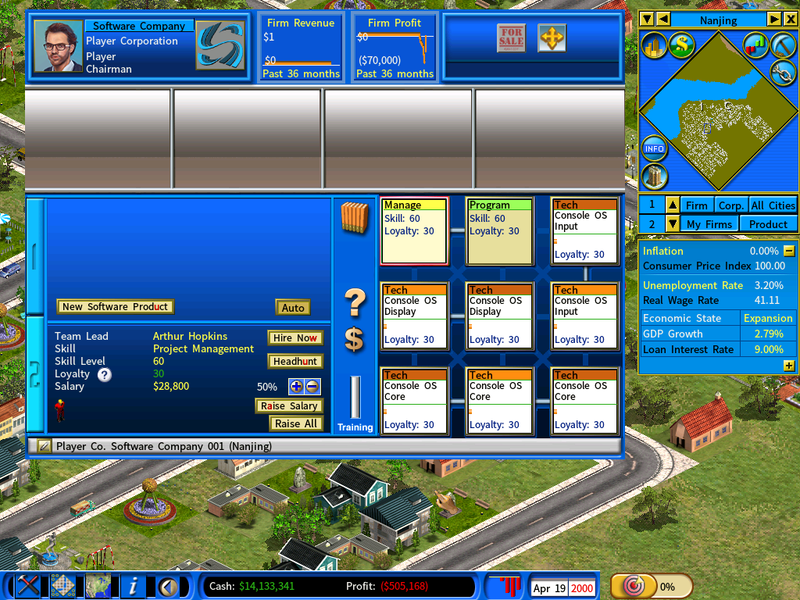 The game is designed this way as we felt that the game will be more fun when the game products you are developing and selling have recognizable names, rather than just generic ones. You are probably aware that there is a finite supply of pre-defined game titles in a MOD. So from a gameplay perspective, if all the pre-defined game titles in the chosen game genre have been taken, you will have to shift your focus to another game genre. If you are concerned that the limited supply of pre-defined game titles will hinder your ability to develop a massive video game empire, the good news is that you could easily add new custom game images into the game on your own.